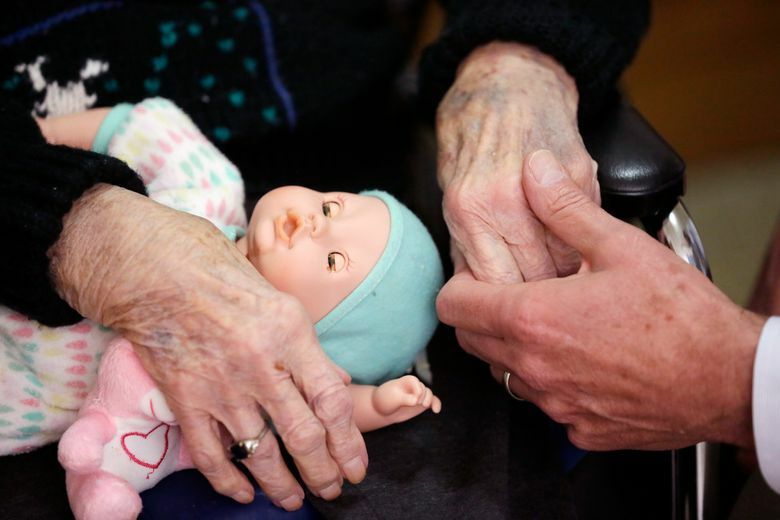 NEW YORK (AP) — Nursing homes are increasingly evicting their most challenging residents, advocates for the aged and disabled say, testing protections for some of society’s most vulnerable. Those targeted for eviction are frequently poor and suffering from dementia, according to residents’ allies. They often put up little fight, their families unsure what to do. Removing them makes room for less labor-intensive and more profitable patients, critics of the tactic say, noting it can be shattering. 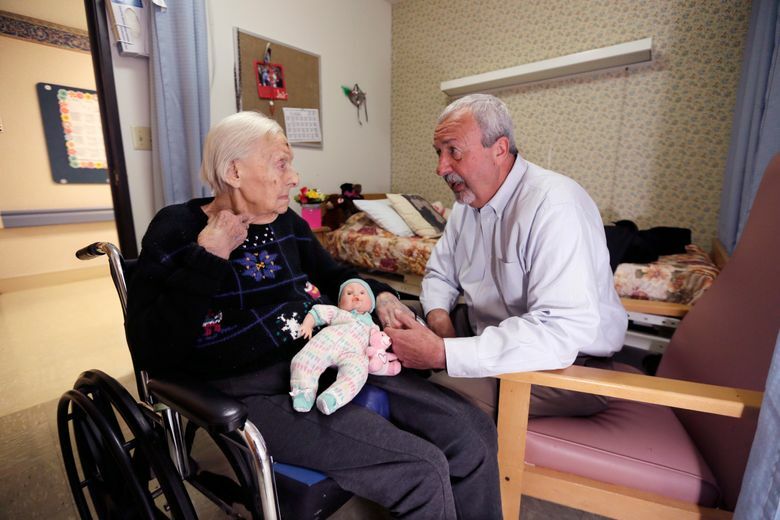 “When they get tired of caring for the resident, they kick the resident out,” said Richard Mollot of the Long Term Care Community Coalition, a New York advocacy group. The American Health Care Association, which represents nursing homes, defends the discharge process as lawful and necessary to remove residents who can’t be kept safe or who endanger the safety of others, and says processes are in place to ensure evictions aren’t done improperly. “There are times these individuals can’t be managed or they require so much staff attention to manage them that the other residents are endangered,” he said. 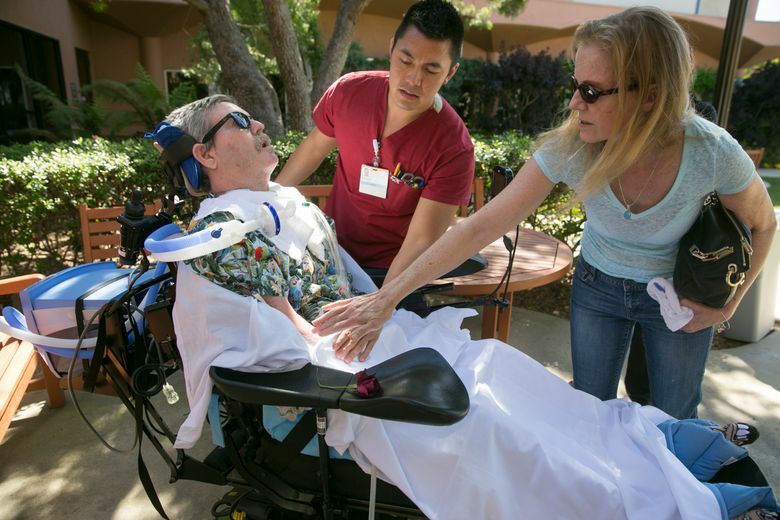 Whatever a facility’s reasons are, involuntary discharges leave families reeling. 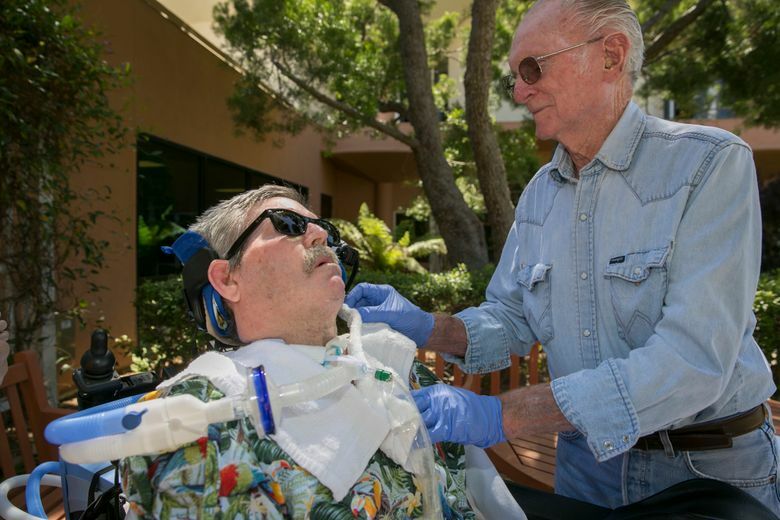 When John Wilson, 61, was refused readmission to St. John’s Pleasant Valley, a nursing home in Camarillo, California, the facility cited his family’s repeated complaints about his care, his son Jeremy Wilson said. The family sued to get Wilson back into the nursing home, but even when they prevailed, the facility refused. The younger Wilson said his father, who has Lou Gehrig’s disease and is unable to speak or walk, was needlessly kept hospitalized for more than seven months until management changed and the home finally relented. Dignity Health, the facility’s parent company, said it could not discuss the specifics of the case but that patient care and safety are the top priority. 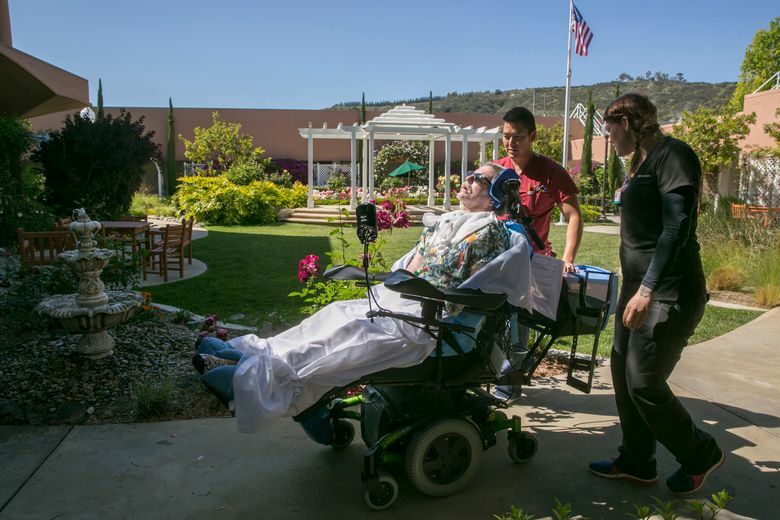 Advocates say hospitalizations are a common time when facilities seek to purge residents, even though the Nursing Home Reform Act of 1987 guarantees Medicaid recipients’ beds must be held in their nursing homes during hospital stays of up to a week. Sara Anderson had been through several transfers of her father, Bruce Anderson, before he ended up at Norwood Pines Alzheimer’s Care Center in Sacramento, California. Eventually, she said the facility began insisting it wasn’t an appropriate setting for him. After being hospitalized with pneumonia, he wasn’t allowed back, she said. “They just rolled up the welcome mat when he was better,” she said. She saw the action as retaliatory after her repeated complaints about the facility’s use of restraints on her 66-year-old father, who suffered a brain injury more than a decade ago during a cardiac arrest. When she appealed the facility’s action and won, she said it still refused to let him back. Her father remains in a hospital. “It doesn’t matter if you win or lose it, there’s not enforcement of these hearings. We didn’t know that the hearing was pointless,” she said. Federal law allows unrequested transfers of residents for a handful of reasons: the facility’s closure; failure to pay; risk posed to the health and safety of others; improvement in the resident’s condition to the point of no longer needing the home’s services; or because the facility can no longer meet the person’s needs. Vicki Becker of Sammamish, Washington, said she began receiving pressure from administrators at her mother’s assisted living facility about two years ago to have the then-94-year-old transferred elsewhere. 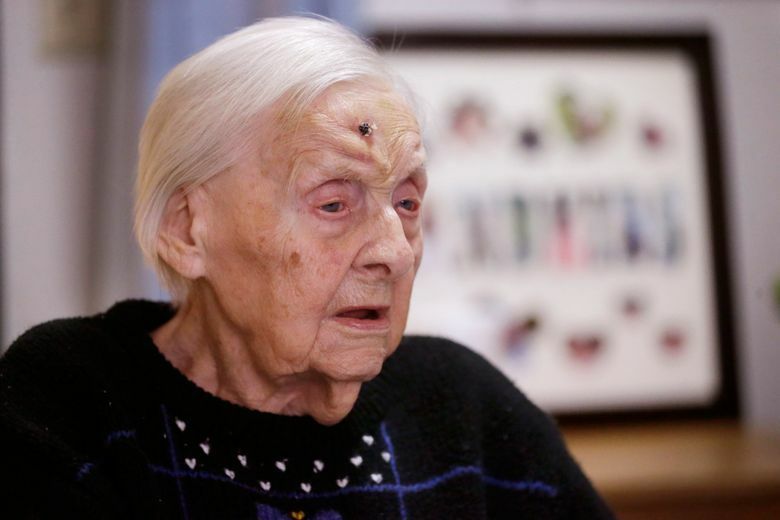 For the first six years she had lived in the home, she had paid more than $5,000 monthly. It was only after Becker’s mother exhausted her savings and went on Medicaid that the facility initiated discharge proceedings, making her wonder if money was a factor. Becker hired a lawyer and enlisted the help of the local ombudsman to fight the eviction. Though the facility eventually dropped the discharge case, it left her feeling as if her mother’s rights had been violated. Glenn Hotchkiss of Temperance, Michigan, unsuccessfully fought the transfer of his mother, a dementia patient, from a nearby home to one about 35 minutes away. He’s able to visit far less often because of the distance. 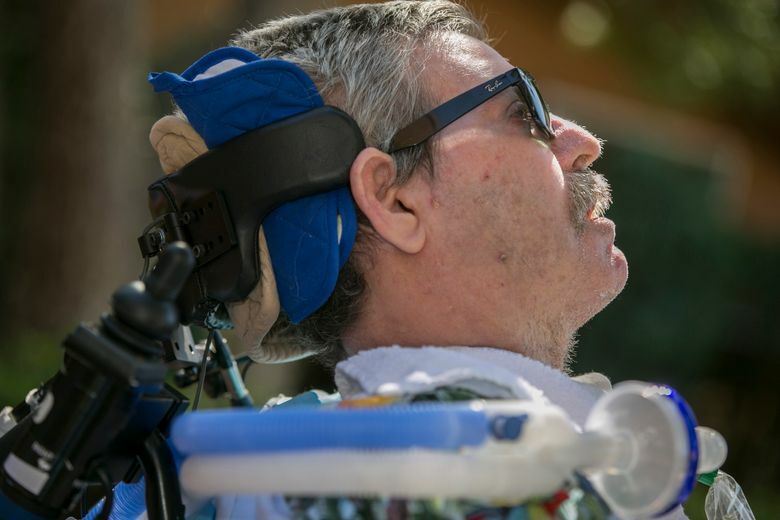 But Gifford of the industry association said the most difficult patients present nursing homes with “a very tricky balancing act” between meeting their needs and denying care to other residents. “The question becomes, how much do you expect every home to meet every single need in the country out there,” he said.